The artwork for the Little Hands Story Bible was on tour to celebrate the Millennium and has been exhibited in major museums. Now its your chance to colour them in! - Publisher The Little Hands Story Bible is a collection of Bible stories with colorful illustrations along side. It is a great tool for introducing children to Bible characters. About "Little Hands Colouring Book #02 (#02 in Little Hands Story Bible Series)"
The Little Hands Story Bible is a collection of Bible stories with colorful illustrations along side. 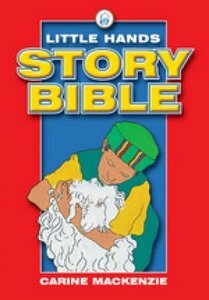 It is a great tool for introducing children to Bible characters.